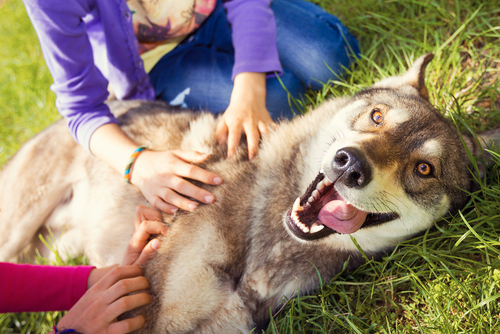 Your dog’s gut microbiome is easily impacted by stress, environmental factors, and poor diet. 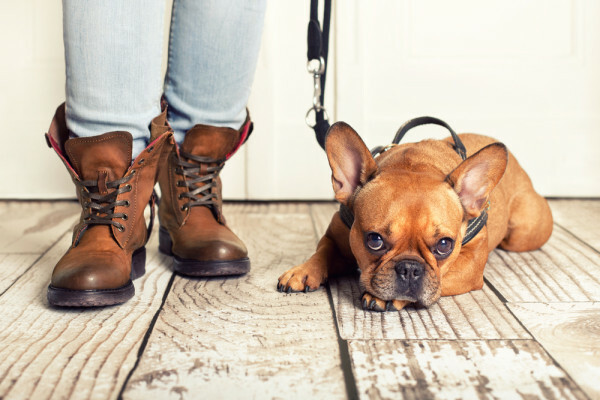 When the delicate balance is off, your dog may experience digestive disorders like inflammatory bowel disease, or even problems with overall health such as allergies, diabetes, depression, and anxiety. The NomNomNow Microbiome Testing Kit comes with 2 swabs and 2 vials. Simply follow the easy instructions for collecting your dog’s stool sample, seal it up in the self-addressed envelope, and send it off to the NomNomNow laboratory! The technicians will analyze your dog’s sample within a few weeks and notify you by email when the results are complete. The extensive report will help identify areas of concern and possible improvement in your dog’s gut microbiome. 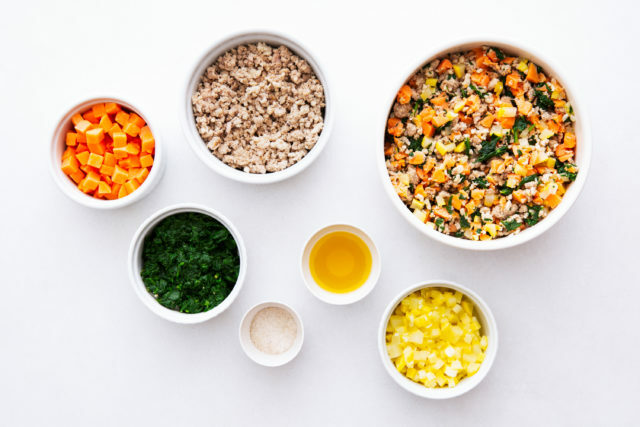 NomNomNow offers full spectrum probiotics for dogs to help regulate and maintain optimal digestive health. 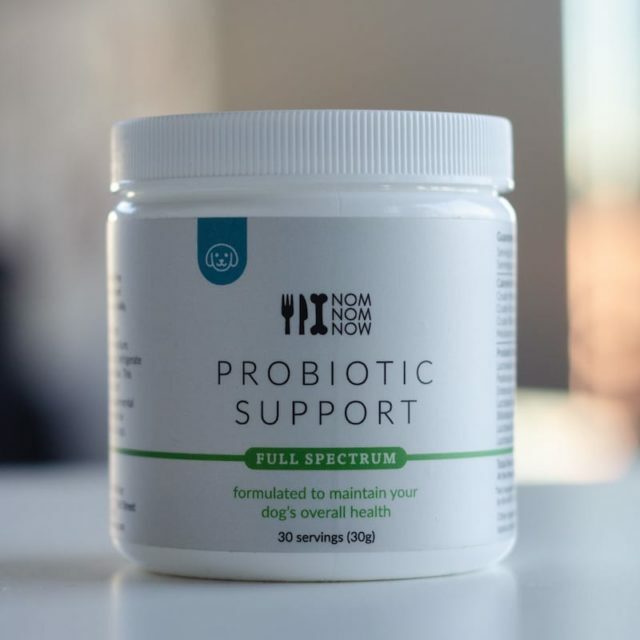 Made from human-grade ingredients, this blend of probiotics and prebiotics was formulated by NomNomNow’s veterinary nutrition and microbiology team. Each serving contains 20 billion cultures and 7 full spectrum probiotic strains. 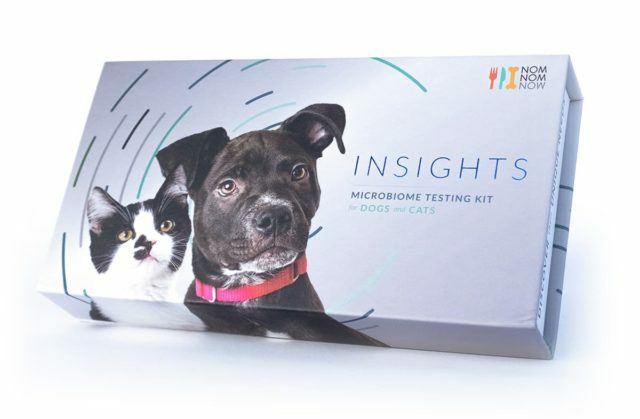 The NomNomNow Microbiome Testing Kit helps identify digestive imbalances, while the company’s probiotics and homemade diets help achieve and maintain optimal health. 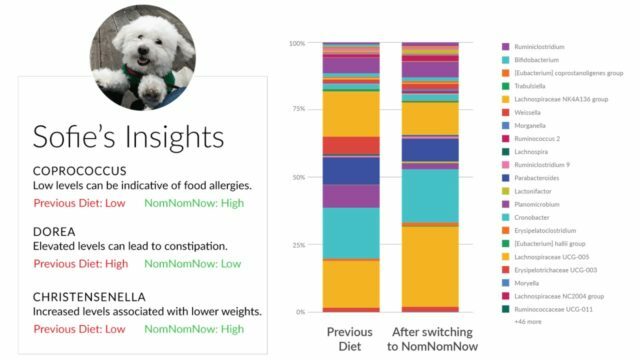 Even if your dog’s gut microbiome is in top notch condition, switching to NomNomNow can help make sure it stays that way!